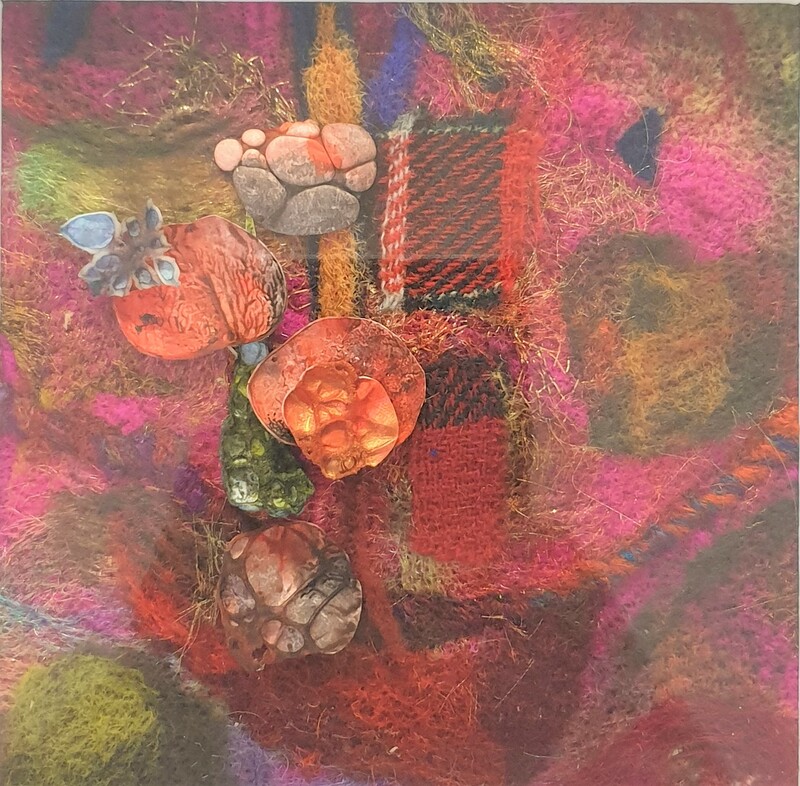 I started my art career at Ealing School of Art,completing a three year degree course in fashion design.This is when my interest in textiles began. Shortly after this period I travelled world wide,taking up residence in Rio de Janeiro,the Sudan and Beirut,working freelance for Pepsi-Cola in Khartoum. On returning to UK I took up the position as chief designer at Cope Allman International. After this came family commitments and City &Guilds in embroidery.During this period I was asked by The Embroiders Guild at Hampton Court to present contemporary beading for their portfolio.